The Pure Drive Tour Plus is the heaviest and most stable member of the Pure Drive family. At 27.5" long, this stick will give you extra momentum for redirecting heavy pace or driving the ball powerfully through the court. 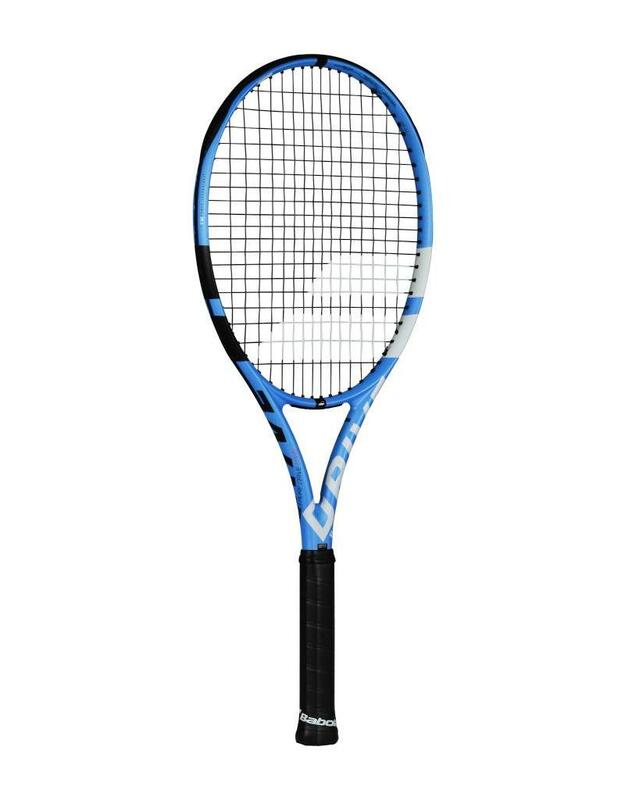 The extended length is a blessing on serves, where this stick packs a knock-out punch.The stringbed incorporates FSI Power Technology, which includes diamond shaped grommet holes and wider string spacing. The payoff is easier depth, thanks to a higher launch angle off the stringbed. The Cortex dampening system also offers more comfort, which helps mitigate the vibration and shock of this stiff frame. From the baseline, the Pure Drive Tour Plus feels fast and explosive for its strung weight of 11.7-ounce weight. As a result, it moves seamlessly from defense to offense. LENGTH: 698.5 mm / 27.5 in.